Work on upgrading Yerevan’s Metro will continue after the project has received a joint assistance of EUR 15 million (about $19.7 million) from the European Bank for Reconstruction and Development (EBRD), the European Investment Bank (EIB) and the Neighborhood Investment Facility (NIF). On Tuesday Yerevan Metro managers, accompanied by European Union Ambassador Traian Hristea and EBRD Yerevan Office head Valeriu Razlog, conducted an inspection tour of the underground, also offering media an opportunity to see the work of the metro from inside and the changes of recent years. The Metro Improvement Project was launched in 2010, with EUR 15 million allocated for the first stage of the project. The EBRD says that the investment has helped “the metro security, sustainable development and energy efficiency”. The second stage of improvement work, also worth EUR 15 million, was launched in August. In particular, the EBRD issued a EUR 5 million (about $6.5 million) sovereign credit which by the end of 2012 will be co-financed with the EIB’s EUR 5 million loan tranche and the EU NIF’s additional EUR 5 million investment grant. The loan is provided for 15 years, with a grace period of three years. The state-owned Yerevan Metro was built in 1981. Now it stretches 13.4 kilometers and operates 10 stations. In 2011, more than 17 million passengers used the metro services. Metro Director General Paylak Yayloyan says before the upgrade many systems of the facility had not undergone renovation since the day of construction. Yayloyan says that the money allocated at the first phase of the renovation project was spent on the repairs of the rolling stock, the rails and energy supply units, as well as for financing the purchases of a technical maintenance train and pumping equipment for water drainage in the tunnels. “Due to the funding economized at the first stage we also managed to completely modernize and repair eight carriages,” said the director. The donor organizations providing the loan and the grant expect that the investment project for the extension of the drainage tunnel at the second stage of the program will result in significant power savings due to the reduction of the cost of water drainage, which, according to preliminary estimates, should be reduced by 50 percent. It is also expected that the program will help the Metro improve the quality and efficiency of its service, as well as enhance its operational efficiency and safety of passengers. The Metro director does not consider it possible to open new stations in the immediate future, even though two new stations, in the Ajapnyak and Arabkir administrative districts of Yerevan, are planned to be constructed by 2020. Yayloyan says that the priority today is not expansion, but preservation of the existing facilities. “The most important thing today is to solve safety problems, change the escalators, the ventilation equipment, etc. It is more important than the construction of new stations. 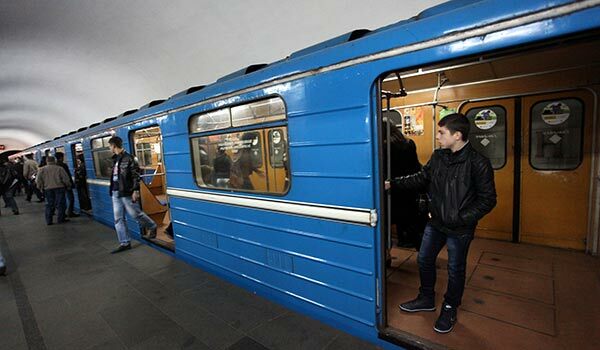 The presence of a metro for such a small city as Yerevan is already a positive thing,” he said. Yayloyan said that the doubling of the metro fare in July 2011 (from 50 to 100 drams, or about 13 to 26 cents) increased Metro revenues by 40 percent, although the number of passengers decreased by 20-25 percent (according to the director, now an average of 50,000 people use the metro on a daily basis). According to Yayloyan, the sum was not directed at increasing salaries of employees, but at solving safety problems. “We put the safety of our passengers before our own stomach,” the Metro director commented to ArmeniaNow’s question.